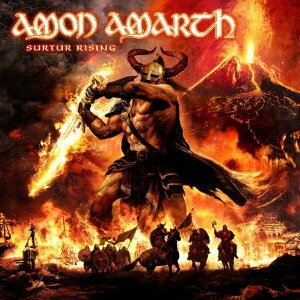 Hall of the Mountain King: Review: Amon Amarth, "Surtur Rising"
So is there anything new? If you’re familiar with Amon Amarth, you already know the answer to that question. That said, there are some nice subtle touches here and there that keep things interesting, and there is one semi-departure, album closer “Doom Over Dead Man,” which makes use of some symphonics and is certainly the softest and slowest song in the band’s catalog. While I wouldn’t exactly categorize it as a ballad, it is a very atmospheric and interesting piece that builds to a nice traditional-metal influenced middle before settling into trademark AA territory toward the end. Surprisingly, the slower songs are really the star of the show on this record. The doomy “The Last Stand of Frej” is another highlight, with a Sabbath-influenced main guitar riff and some dreamy-sounding guitar work on the chorus that’s not at all alien to the band’s sound but is, perhaps, used in a different way than it has been on past efforts. The faster songs give you exactly what you expect from blazing album opener “War of the Gods” to the faster chromatic riffing of “Live Without Regrets” to the snapping snare of “A Beast am I,” one of the weakest tracks here in my estimation. If you like Amon Amarth, though, you’ll like them. I do have a few complaints with the record. For one, I’m really craving one of the catchier songs that they’ve included on their last few records. Something like “Cry of the Blackbirds,” “Runes to My Memory” or “Twilight of the Thunder God” would be nice. The closest songs we get here are “Destroyer of the Universe” and “Slaves of Fear,” both catchy and melodic (even if “Destroyer” is perhaps a little too familiar), but neither of them have that hook that sticks with you like the aforementioned tracks. 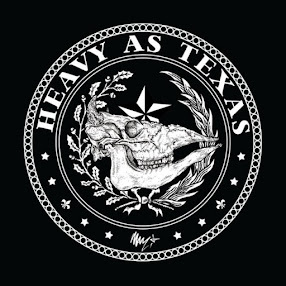 A second is that Hegg’s vocals do tend a little toward Nathan Explosion, which makes it hard to take them seriously at points. Those are only small quibbles, though, with a record that, for the most part meets my expectations and satisfies my need for chest-pounding, fire-breathing Viking metal. So, yes, I knew what I was going to get when I pushed play on Surtur Rising, and I’m more than happy with that.